Leaves are changing, temperatures are dropping, and freeze warnings are right around the corner. It’s time to prepare your house for the winter. Your smart home can keep you cozy all winter long. Here are some ways that you can stay toasty and smart all season. Is there anything more aggravating than coming home from a long day of work to a frigid house? Your smart home can help you. Set a schedule for your thermostat. When you are not at home you can keep it set to energy-saving mode. Then, you can set it to come on before you get home so that you can ensure that you walk into a nice and cozy environment. Grab your favorite blanket and head to your favorite chair. With a touch of a button, you can start the fire and relax. Your smart home can turn on and off lights, start playing your favorite holiday tunes, and even greet guest at your door. 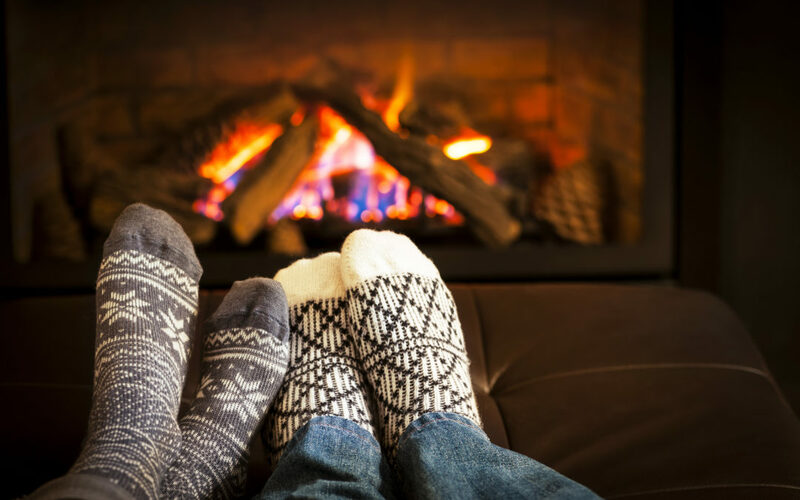 Your home automation system does it all for you, so you can stay cozied up by the fire. The days are shorter and the nights are longer. Don’t forget to adjust all your photosensors so they turn on at certain hours, or simply when the sun goes down. This helps everyone to stay safe all night long. Your landscape lighting can keep your driveway well-lit, so no one slips on ice in the dark. Everything is at your command. Are Your Smart Devices Costing or Saving You Money?